Share your experiences with XC90? The Volvo XC90 doesn’t find the need to scream out when it comes to design elements but employs a rather subtle way of showcasing itself. 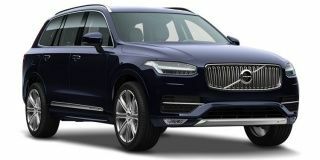 From the large headlamps that come with a ‘Thor’ inspired daytime running light to the huge gaping grille that comes in two distinct finishes depending on the variant you choose, nothing on the XC90 seems t o be in excess. The Volvo XC90 has been globally acclaimed to have one of the finest interiors in its segment. Volvo has taken the bold step to eliminate almost every single button on the centre console and replace it with one large and almost tablet-like screen. There is even a thought that goes into designing the seats. Every contour is there for a reason and they are there to ensure that you stay comfortable even after being in the car for a good eight to ten hours of driving.